This one is a Redneck Original. Not based on anything. No need for DesktopX to be installed. CTRL click and drag to move. Tested and named by Wizard1956. I actually love this. I am using it now. I like the size not being tiny and I love the retro look. I do have one problem with it though. I have a separate show/hide button on my screen which is a nice idea but I can't seem to drag it to a different location. Its locked or at least for me it is. Hope that can be fixed in an update. I am giving this a 8.5 rating which will go up once the button is fixed. Hey, sorry about that, Fixed. Wow! that was fast update. Works perfect now. I gave it a 10 this time. You know I am not even sure what media player this is working with because I have several. 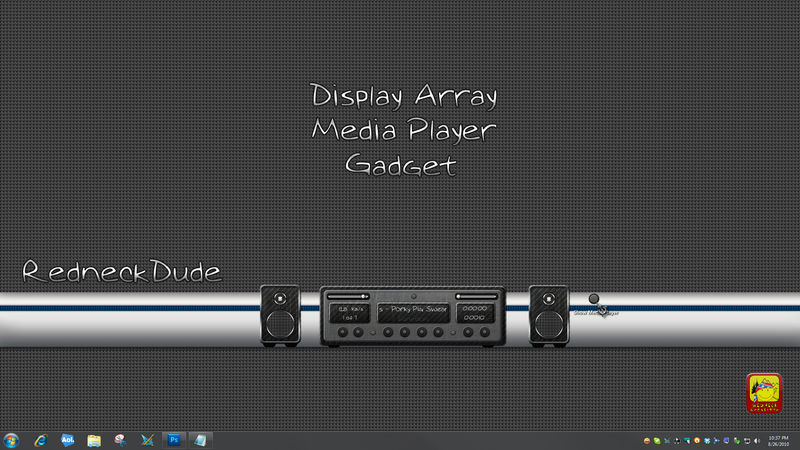 I asume windows media player. I would love to see this as an xion skin.